To save his soul William Marshal takes the perilous road to Jerusalem, but the greatest danger he faces there is losing his heart. England, 1219 Lying on his deathbed, William Marshal, England's greatest knight, sends a trusted servant to bring to him the silk Templar burial shrouds that returned with him from the Holy Land thirty years ago. It is time to fulfil his vow to the Templars and become a monk of their order for eternity. As he waits for the shrouds' return, he looks back upon his long-ago pilgrimage with his brother Ancel, and the sacred mission entrusted to them - to bear the cloak of their dead young lord to Jerusalem and lay it on Christ's tomb in the church of the Holy Sepulchre. Jerusalem, 1183 In the holiest of all cities, the brothers become embroiled in the deadly politics, devious scheming and lusts of the powerful men and women who rule the kingdom. Entangled with the dangerous, mercurial Paschia de Riveri, concubine of the highest churchman in the land, William sets on a path so perilous that there seems no way back for him, or for his brother. Both will pay a terrible price and their only chance to see home again will be dependent on the Templar shrouds. 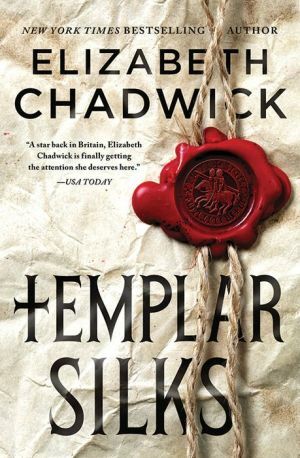 In this glorious adventure, bestselling author Elizabeth Chadwick sweeps the reader to medieval Jerusalem in a story perfect for fans of Ken Follett and Philippa Gregory.